American Century Global Small Cap Fund will seek capital growth. The plan is “to use a variety of analytical research tools and techniques to identify the stocks of companies that meet their investment criteria.” Not a word about what those criteria might be, though they espouse the same bottom-up, follow the revenue language as the other two AC funds listed below. The fund will be managed by Trevor Gurwich and Federico Laffan; they also manage American Century International Opportunities (AIOIX) together. The initial expense ratio will be 1.51% and the minimum initial investment is $2,500. American Century Emerging Markets Small Cap Fund will seek capital growth. The plan is to invest in small EM companies based on the conviction that “over the long term, stock price movements follow growth in earnings, revenues and/or cash flow.” The fund will be managed by Patricia Ribeiro who has been managing American Century Emerging Markets (TWMIX) since 2006. The initial expense ratio will be 1.61% and the minimum initial investment is $2,500. American Century Focused International Growth Fund will seek capital growth. The plan is to construct a bottom-up portfolio of 35-50 firms whose revenues are growing at an accelerating pace. The fund will be managed by Rajesh Gandhi and James Gendelman. Mr. Gendelman is, dare I say, a refugee from The House of Marsico. The initial expense ratio will be 1.24% and the minimum initial investment is $2,500. Canterbury Portfolio Thermostat Fund will seek long-term risk-adjusted growth. The plan is to use ETFs to invest in all the right places given current market conditions. The strategy is executed through ETFs and is unrelated to the much simpler, highly successful Columbia Thermostat fund discipline. The fund will be managed by Thomas Hardin and Kimberly J. Custer. The initial expense ratio will be 2.18% and the minimum initial investment is $5,000 for Institutional shares and $2,500 for Investor ones. DoubleLine Infrastructure Income Fund will seek current income and total return. The plan is to invest in fixed- and floating-rate instruments which are being used to finance or refinance infrastructure projects globally. In general, the portfolio will be dollar-denominated. The fund will be managed by a team of DoubleLine folks, none of whom is named Jeffrey. The initial expense ratio has not yet been set and the minimum initial investment is $2,000, reduced to $500 for IRAs. Manning & Napier Managed Futures will seek positive absolute returns. “Managed futures” is a brilliant strategy with a horrendous track record: divide the world up into a series of asset classes, then use futures to invest long in rising classes, short falling ones and use the bulk of your assets to buy short-term bonds to add a bit of income. The strategy has lost money steadily over the past five years as the market has refused to cooperate by providing predictable trends to exploit. Over much longer periods, managed futures indexes have provided near-equity returns with reduced volatility. The fund will be managed by a team from M&N. The initial expense ratio will be 1.40% and the minimum initial investment is $2,000. Pax World Mid Cap Fund will seek long-term growth of capital. The plan is to follow “a sustainable investing approach, combining rigorous financial analysis with equally rigorous environmental, social and governance analysis in order to identify investments.” The fund will be managed by Nathan Moser who also manages Pax World Small Cap (PXSAX). That fund has been a pretty solid performer pretty consistently. The initial expense ratio will be 1.24% and the minimum initial investment is $1000. 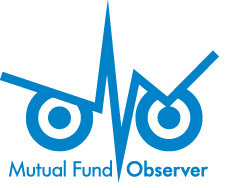 Seafarer Overseas Value Fund will seek long-term capital appreciation. The plan is to invest in an all-cap EM stock portfolio. Beyond the bland announcement that they’ll use a “value” approach (“investing in companies that currently have low or depressed valuations, but which also have the prospect of achieving improved valuations in the future”), there’s little guidance as to what the fund’s will be doing. The fund will be managed by Paul Espinosa. Mr. Espinosa had 15 years as an EM equity analyst with Legg Mason, Citigroup and J.P. Morgan before joining Seafarer in May, 2014. The initial expense ratio has not yet been set, though Seafarer is evangelical about providing their services at the lowest practicable cost to investors, and the minimum initial investment is $2,500. T. Rowe Price QM Global Equity Fund will seek long-term growth of capital through a broadly diversified portfolio of global stocks. The plan is to use quantitative models (the “QM”) to select mid- to large-cap stocks based on “valuation, profitability, stability, management capital allocation actions, and indicators of near term appreciation potential.” The fund will be managed by Sudhir Nanda, head of TRP’s Quantitative Equity group. Dr. Nanda, formerly Professor Nanda, joined Price in 2000 and has managed the five-star Diversified Small Cap Growth fund (PRDSX) for the past nine years. The initial expense ratio will be 0.79% and the minimum initial investment is $2,500, though that’s reduced to $1000 for various sorts of tax-advantaged accounts. T. Rowe Price QM U.S. Small & Mid-Cap Core Equity Fund will seek long-term growth of capital through a broadly diversified portfolio of small- and mid-cap U.S. stocks. The plan is to use quantitative models (the “QM”) to select small- to mid-cap stocks, comparable to those covered by the Russell 2500, based on “valuation, profitability, stability, management capital allocation actions, and indicators of near term appreciation potential.” Up to 20% might be international stocks, but that disclosure seems mostly a formality. The fund will be managed by Boyko Atanassov, a quantitative equity analyst with Price for the past five years. The initial expense ratio will be 0.89% and the minimum initial investment is $2,500, though that’s reduced to $1000 for various sorts of tax-advantaged accounts. T. Rowe Price QM U.S. Value Equity Fund will seek long-term growth of capital through a broadly diversified portfolio of U.S. stocks believed to be undervalued. The plan is to screen firms based on “valuation, profitability, stability, management capital allocation actions, and … near term appreciation potential,” then assess their valuations based on price-to-earnings, price-to-cash flows, and price-to-book ratios, and compares these ratios with others in the relevant investing universe. The fund will be managed by Farris Shuggi, a Price quantitative equity analyst with three master’s degrees. The initial expense ratio will be 0.74% and the minimum initial investment is $2,500, though that’s reduced to $1000 for various sorts of tax-advantaged accounts. Templeton Dynamic Equity Fund will seek risk adjusted total return over the longer term. The whimsical plan is to use a “bottom-up, value-oriented, long-term approach” to select individual equities then use a long/short ETF portfolio to manage sector exposures and hedge its global market exposure with some combination of cash, ETFs and futures. The technical term for this strategy is “a lot of moving parts.” The fund will be managed by a Templeton team: James Harper, Norman J. Boersma, and Heather Arnold. “A” shares have a 5.75% front load, a $1000 minimum and a 1.57% initial e.r. “Advisor” shares are no-load with a 1.32% e.r. “R” shares are no-load but impose a 0.50% 12(b)1 fee for a total e.r. of 1.82%. Vanguard Core Bond will seek to provide total return while generating a moderate level of current income. The plan is to invest in all different sorts of bonds with very little guidance in the prospectus about which or why, other than to target an average maturity of 4-12 years and to limit non-dollar-denominated bonds to 10% of the portfolio. At base, this looks like Vanguard’s attempt to generate an active fund that’s just slightly more attractive than a broad bond market index. The fund will be managed by Brian W. Quigley, Gemma Wright-Casparius, and Gregory S. Nassour, all of Vanguard. The initial expense ratio will be 0.25% on Investor shares and the minimum initial investment is $3000. Vanguard Emerging Markets Bond will seek to provide total return while generating a moderate level of current income. The plan is to invest in all sorts of EM bonds, including high yield. For their purposes, the emerging markets are everybody except Australia, Canada, Japan, New Zealand, the United States, the United Kingdom, and most European Monetary Union countries. In general, they’ll buy bonds which are “denominated in or hedged back to the U.S. dollar.” The fund will be managed by Daniel Shaykevich, who has been with Vanguard for three years and co-leads their Investment Grade Non-Corporate team. Before joining Vanguard he spent almost nine years as an EM bond manager for BlackRock. The initial expense ratio will be 0.60% and the minimum initial investment is $3000. This entry was posted in Funds in Registration on January 1, 2016 by David Snowball.